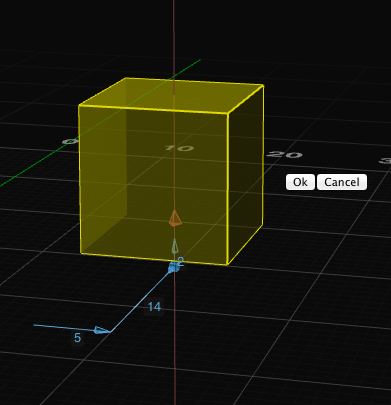 When I started Shapesmith, my vision was to create a simple, yet powerful 3D modelling application. Up to a few weeks ago my main focus was on creating a strong technical foundation that I could build on, and I'm quite pleased with the current architecture. Usability had been important, but not the top priority. This has changed. 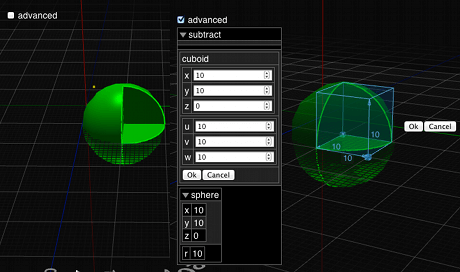 My first attempt at simplifying geometry creation was illuminating, but unsatisfactory. 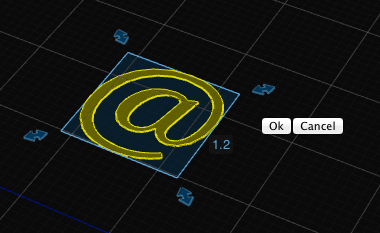 The idea was to create a re-usable 3D cursor to move around 3D space to create radii, widths, move the origin etc. This turned out to be a step in the right direction, but too complicated for my liking. In terms of usability, the next area I'm going to focus on is a dynamic workplane. At the moment, the workplane is static at the origin, and oriented in the Z=0 plane. 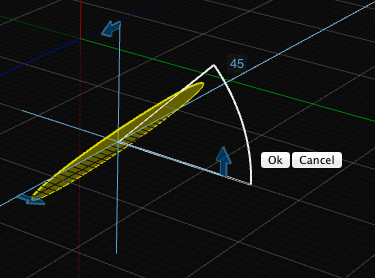 A dynamic workplane implies being able to position it at specific coordinates, but also snapping it to flat surfaces. I would also like to experiment with other types of grids. But more importantly, what improvements and features would YOU like to see next in Shapesmith?